Diplomat, academic, politician, musician, freedom fighter, theologian, political prisoner, champion chess-player, Drs. Jacob Rumbiak is the first Minister for Foreign Affairs in the Federal Republic of West Papua (FRWP). In Melbourne since escaping from prison in Jakarta in 1999, he is the only FRWP executive in the diaspora, and has raised the profile of West Papuan nation-making and self-determination in Australia, Indonesia, Timor-Leste, and the Melanesian island-states. He was incarcerated in 1989 as head the Physical Sciences at Cenderawasih University (West Papua) after years of education in Bandung (West Java), and his deep understanding of the Indonesian people(s) and of Javanese culture renders him well prepared to negotiate with the Indonesian government as well as with political and commercial entities in the region. Herman is a visiting scholar at George Mason University's School for Conflict Analysis and Resolution, and represents the Federal Republic of West Papua at the United Nations in New York. 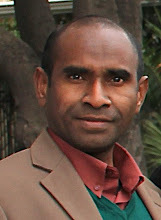 During the 1990s (when nearly all the 'West Melanesia' lecturers were incarcerated) he was a law student at Cenderawasih University and at the forefront of developing non-violent resistance with legal argument and political debate and an emphasis on the grace-filled virtues of justice, peace, and love. He was incarcerated in 2000, and again in 2002 for two years. 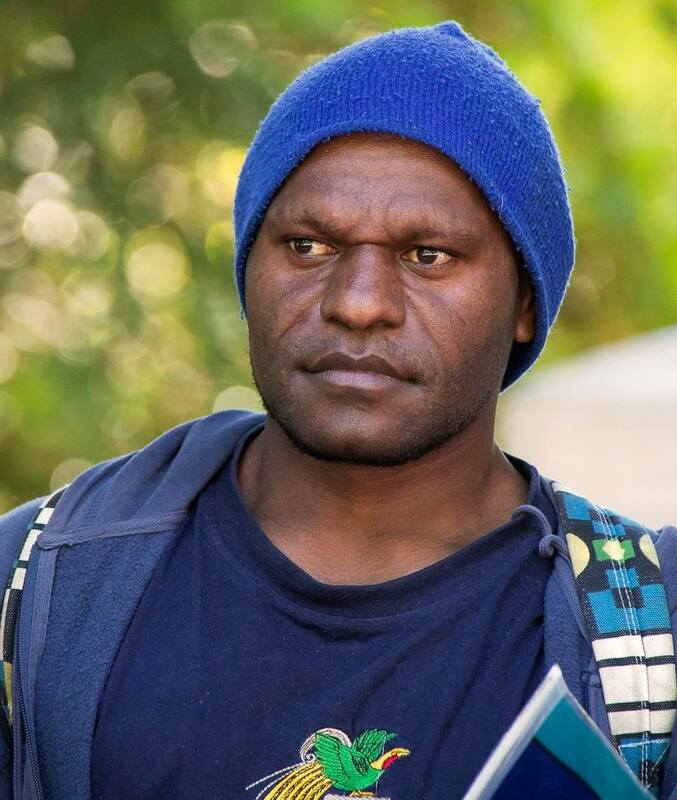 Facing arrest again in 2005, he sent himself into exile in a traditional canoe with forty-two others and was granted political asylum in Australia. In America since 2010, he has developed grass-roots support as well as instigating the shift of American understanding of the New York Agreement, by which, via a stroke of a pen at the United Nations on 15 August 1962, Melanesian West Papuans became Indonesian citizens.